I absolutely love these pictures, Amy! You & your husband are so wonderful at capturing these special moments that Scott and I will cherish forever! We are so excited to meet Baby Sill. She is going to be a great addition to our family! Thanks again for these great photos! Lindsey, every picture came out so good. i love them all. i dont know which one i like the most. they are so beautiful. you and scott look so happy. Im so happy for yall! Can’t wait to meet my granddaughter! Beautiful pictures! Absolutely beautiful pics!! I love the ones with the sun light rays showing through! The pictures are beautiful! I absolutely love them! This is absolutely adorable Lindsey!!! I cannot wait to meet precious baby girl!! I LOVE this couple and these wonderful pictures capture just how great they are! Beautiful photos Scott and Lindsey!! Congrats guys! The pics look great! SO precious!!!! Love them all! Beautiful! Love every picture! Can’t wait for baby Sill!! These are great pictures of you and Scott, sis! Amy does great work! Absolutely beautiful photos! Your bundle of joy will love to look at pictures of mommy pregnant and daddy so happy! Beautiful pictures! You guys look great! Amy , you did such a wonderful job capturing Scott and Lindsey! They look so natural and in love! I know from experience how tough it can be to picture the beautiful connection between a couple, but you did it! Now, my husband and I will have quality photos to enjoy years from now! 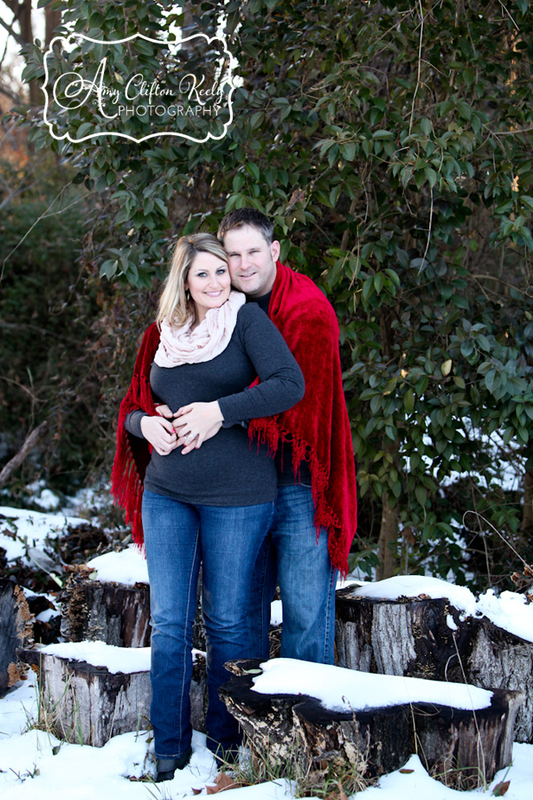 Scott and Lindsey, your pictures are fantastic and they really compliment you both! I know your daughter will be so beautiful! Maegan and I look forward to seeing more in the future! May God bless your home! Loving these pictures! You just glow! Love these two! Beautiful photo! Love all of them!!! These pictures are absolutely perfect. Cherish every one of them as soon that baby girl will be here and your world will forever be changed in the most wonderful ways!!! I am so happy for you and Scott!! Great Pics! Congrats to the both of you! Absolutely beautiful. Congratulations you two. Love them! These are absolutely beautiful! Love ya! Congrats, can’t wait to spoil her! Great pictures! These are so beautiful, I love them all!!!! They truely capture so much! I know baby Sill is going to be one loved little girl. I love the ones of you and Scott looking at each other and holding your belly. What a beautiful family. We can’t wait to meet baby sill. Congrats y’all look fab! Loved these amazing photos! Can’t wait to see more and of course the little one to come! Babies make me so happy!!! These pictures are awesome! Can’t wait to meet this sweet little girl! Congratulations again! Beautiful pictures!! We are so happy for ya’ll!! That baby girl is going to be gorgeous!! Thank you so much for doing this for us! We love the pictures Amy! These are beautiful pictures! Love the snow and the precious couple!!! These are absolutely precious! Lindsey and Scott are absolutely glowing in these pictures and I could not be happier for them! These are such sweet pictures. This will be a part of Ann’s history.